BMW officially revealed Z4 concept at Pebble Beach last year and then followed up with European debut at Frankfurt Motor Show. 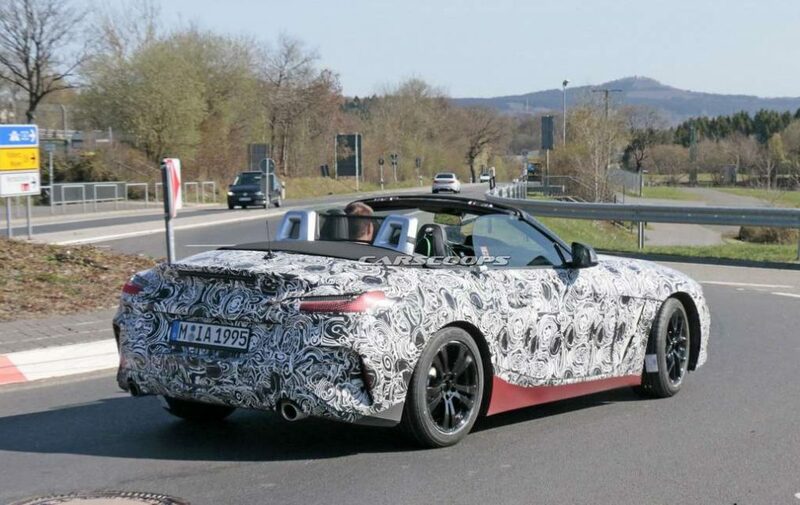 The Z4 production model test mule has been spied so many times in different parts of the world. 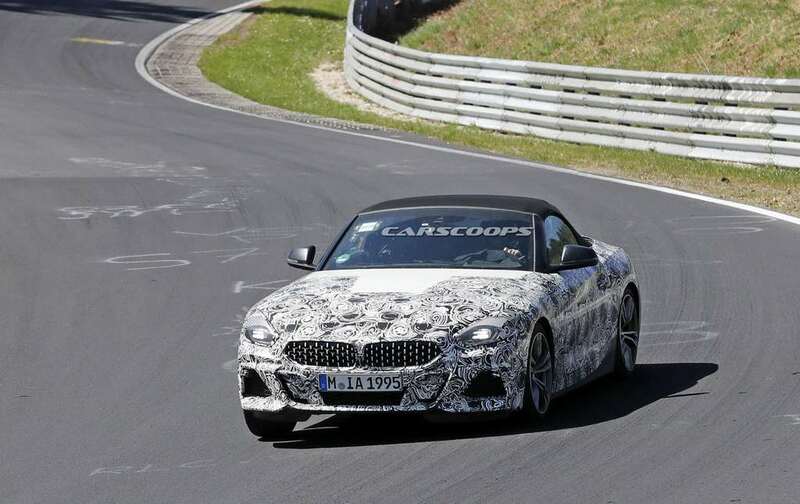 The test mule has been again spied near Magna Steyr manufacturing plant in Austria. 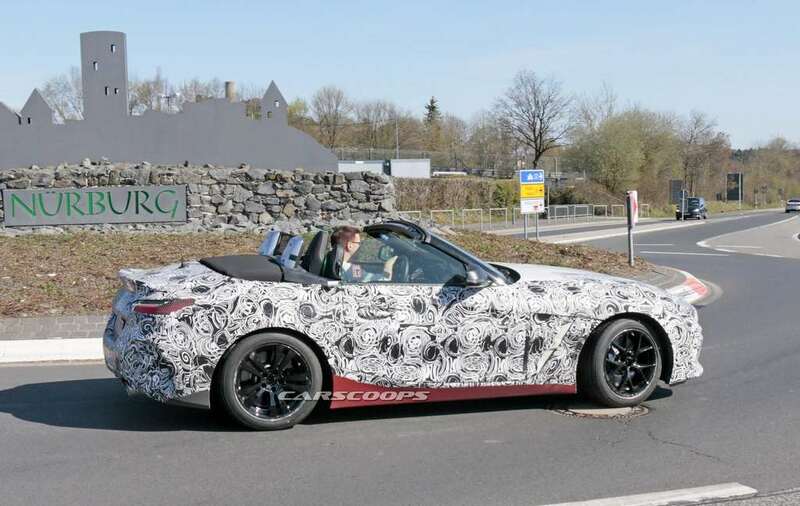 The Z4 is developed along with next generation Toyota Supra and both these models will be manufactured at Magna Steyr manufacturing plant. The spy video shows rear of Z4 which get slim tail lamps along with sporty bumper and exhaust. BMW will carry over some of the design elements from concept to production model. The headlamps are small like the tail lamps. The long hood and wider kidney grill is carried over to the production model. 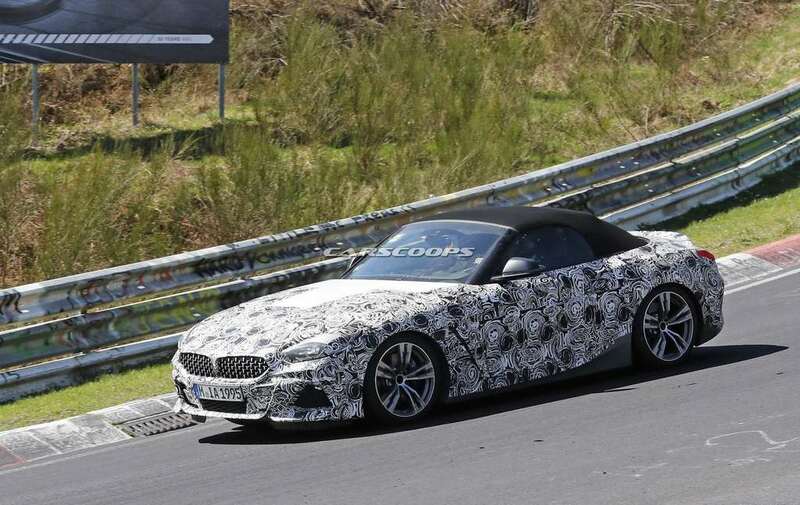 BMW will introduce coupe and convertible models of Z4. 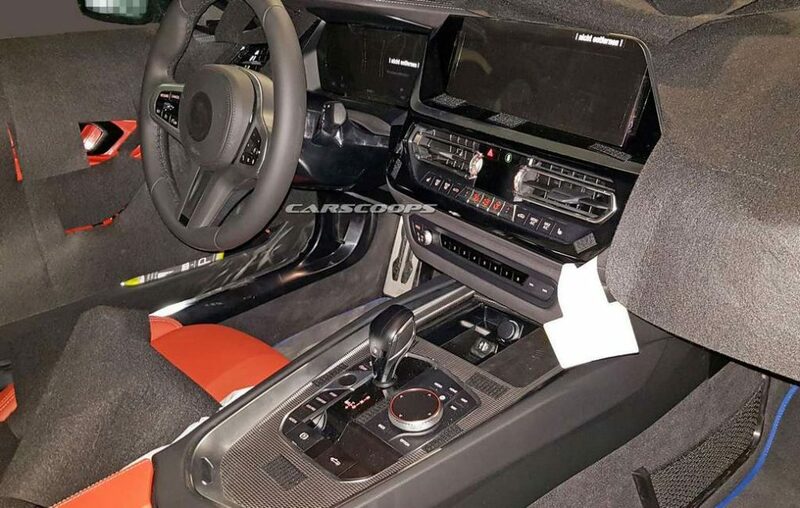 The interior of Z4 has been spied earlier this year but most of the parts were covered. The instrument cluster is digital along with new three spoke steering wheel. BMW has given new design for centre console and it is different from other models. The rotary knob to control i-drive system also get touch pad along with touch screen for the infotainment system and the switchgear is completely new. BMW will offer wide range of engine option for Z4 with new base 2.0 L four cylinder engine producing 197 PS of power and 320 Nm of torque. The Z4 also get new 3.0 litre twin turbocharged six cylinder engine in two power outputs of 335 PS and 385 PS. The engine will be mated to 8 speed ZF gearbox and the power will be sent to rear wheels with option of four wheel drive system later. 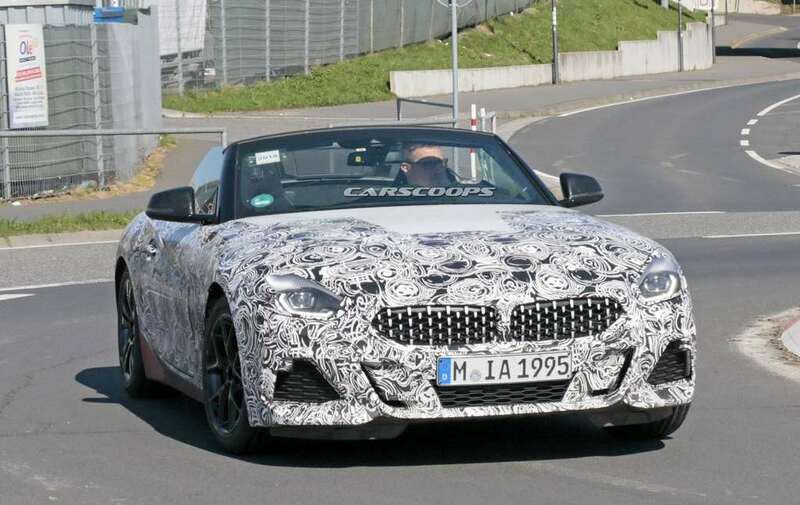 The German manufacturer is expected to introduce M performance variant of Z4 later in its product cycle. 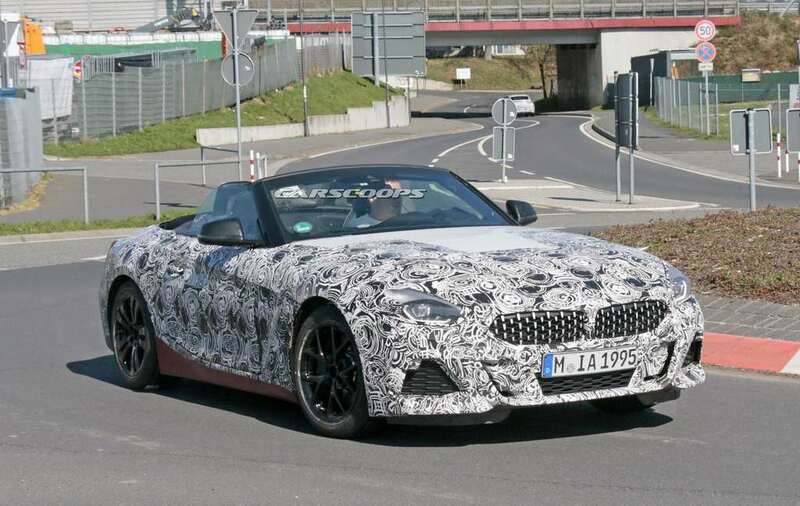 BMW will officially reveal new Z4 at Paris Motor show and sales will begin by the end of this year.